In line with the persuasion of Saudi Vision 2030, the country has taken various measures in promoting the Art, Culture, and Entertainment. This motives included the introduction of the first Cinema in Jeddah and Riyadh. The country through such drives desires to achieve its economic objectives through non-oil revenue sources. The steps taken since last year for the accomplishment of such objectives has brought quite fruitful results and outcomes to the Kingdom. 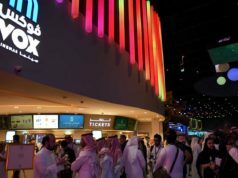 Cinemas had been banned for 35 years until the first cinema in the Kingdom opened on April 18, 2018, in Riyadh. 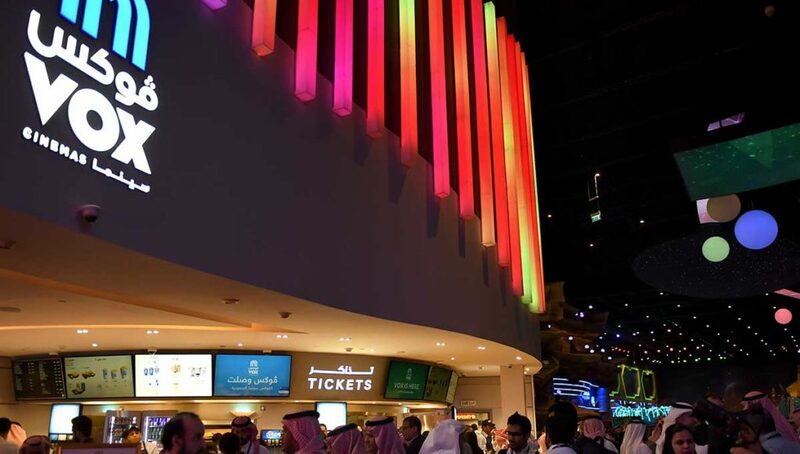 The authority claims that the opening of first cinema in Jeddah is on January 28, 2019 since the ban was lifted in 2018. This means that long-awaited patience is about to finish and the movie lovers will enjoy the latest and old movies on big screens. 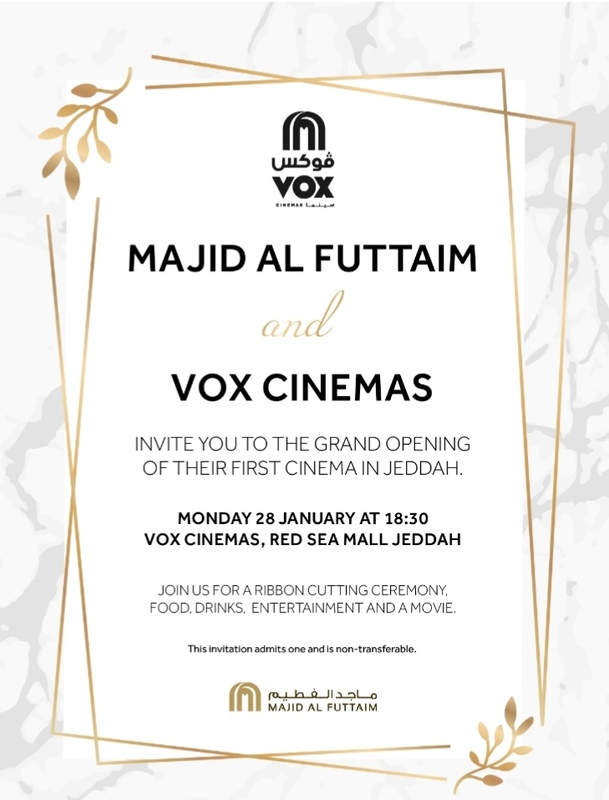 The cinema’s grand opening at the Red Sea Mall will be held at 06:30 p.m. (KSA timing). where a ribbon cutting ceremony will be held with entertainment and a movie screening. 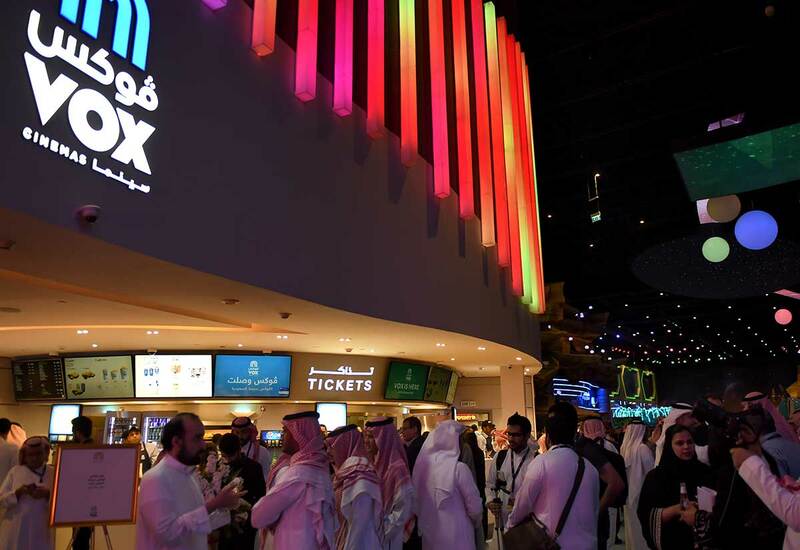 The movie theatre in Jeddah will be operated by the company named “Regional Company VOX”. The space occupied and the cover area amounts to 8,000-square-meter. The movie theatre will contain 12 halls with a total of 1,472 seats. The Cinema will contain standard and VIP, an IMAX screen, a 4DX auditorium with motion-controlled seats. The halls inside the Cinema will contain the children seats as well. The IMAX screen inside the Cinema is around 13 meters long and is 24 meters tall which is equal to 10 regular displays. The relevant authority has announced that the tickets will be sold through online and on-site as well (Details will be shared very soon). The red sea mall is under expansion now and the opening of Cinema is the part of its expansion. A source in the mall said that probably Gate No. 9, overlooking King Abdul Aziz Road, will be named the “Entertainment Gate” and it will be the main entrance for the cinema. It will also contribute to the economy well and is expected to generate 3000 job opportunities over the next 5 years. We all are thankful to the Kingdom for taking such an exciting initiative to bring more prosperity, entertainment and job opportunities inside the KSA. 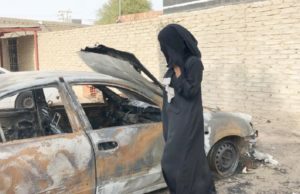 Such an initiative, is another is another step towards Saudi Vision 2030, will also bring more stability in the economy along with the removal of significant reliance on the oil industry revenue.